Charles Mingus, the innovative jazz musician, was known for having a bad temper. He once got so irritated with a heckler that he ended up trashing his $20,000 bass. Another time, when a pianist didn't get things right, Mingus reached right inside the piano and ripped the strings out with his bare hands -- a true story mentioned in the BBC documentary, 1959: The Year that Changed Jazz. This might be a bit outside the subject matter, but you can’t rip out the strings of a piano with your bare hands. Nobody, not even the great Charlie Mingus could have done that. The wood parts, sure. Apparently even the BBC gets it wrong sometimes. Destroyed a $20,000 bass? That’s asinine. What an idiot. Doug, I don’t know how much you know about Charles Mingus. He had a very, *very* bad temper at times, as Jimmy Knepper, his trombonist for many years, learned. Mingus has been dead since 1979, and probably wouldn’t have stood for being called an idiot. He could be self-destructive, angry, but not an “idiot”. And he might just as well have laughed at your words. 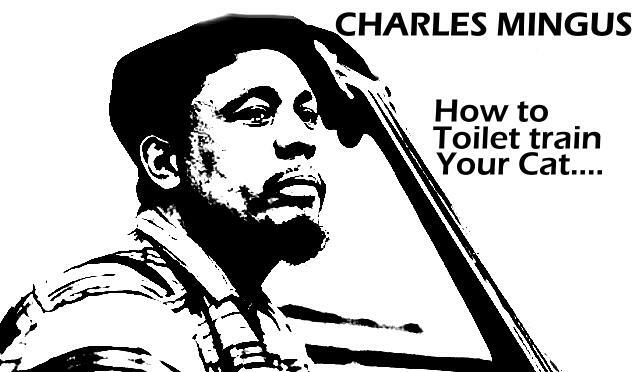 Charles Mingus was serious about his music. He also had an excellent sense of humor and even better appreciation of the absurd. Any black man in the U.S., certainly of Mingus’ generation, would need those traits in order to survive and thrive. Half the stories told about Mingus are suspect. Instead, listen to a couple of his more approachable albums, such as Blues And Roots, or Mingus Mingus Mingus Mingus Mingus. You might appreciate his talents more and perhaps understand his life a bit better. Don’t know if you’ll see this, but best wishes. Doug, apparently you don’t know that things like these don’t happen as a result of a conscious decision, and bad temper is not equal to idiocy. Doug, I am curious…if the instrument had been “worth” less, would Mr. Mingus have been less of an idiot, less “asinine”?